With the lack of news lately, I decided to cue up some old audio I never had the time to share or discuss. From the start the interview was hilariously serious. The Commish set the tone by kicking off the interview by razzing Coach T about his anniversary by coyly stating, “I won’t ask you if you ‘Did Something’?”…. 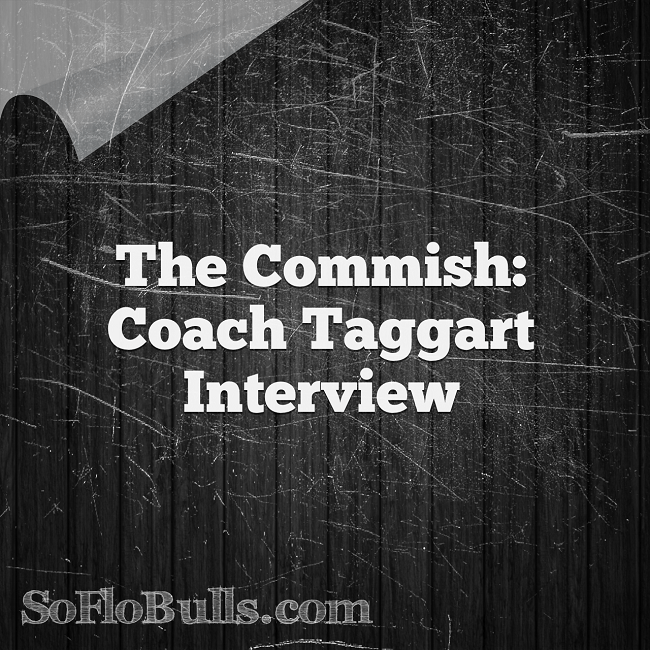 the best part was Taggart’s response, “I did something big, no doubt. Call her [his wife] up and see if coach did something!” Amazing. Taggart sent a clear message to fans & alumni: We’re rebuilding my way. I cannot speak for all alumni or fans, but I for one have been impressed by the way Coach T hit the ground running as soon as he touched down in Tampa. Taggart runs to the beat of his own drum & marches only his path, his way. Coach Taggart was born to lead & I’m excited for him to #DoSomething for my Bulls on the field in a make or break season.